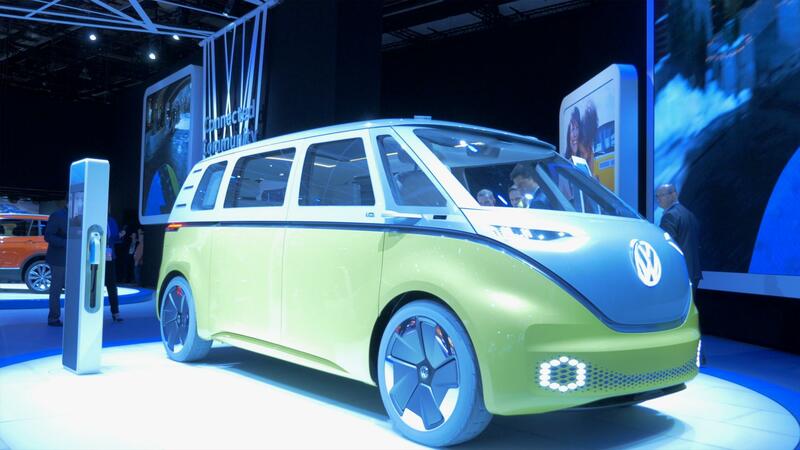 Volkswagen is trotting out its I.D. 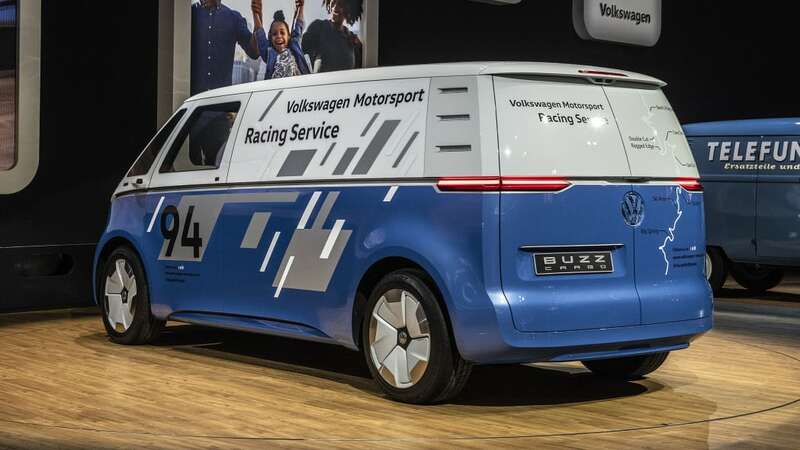 Buzz Cargo van again at the L.A. Auto Show, following its announcement at a commercial vehicle show in Germany. 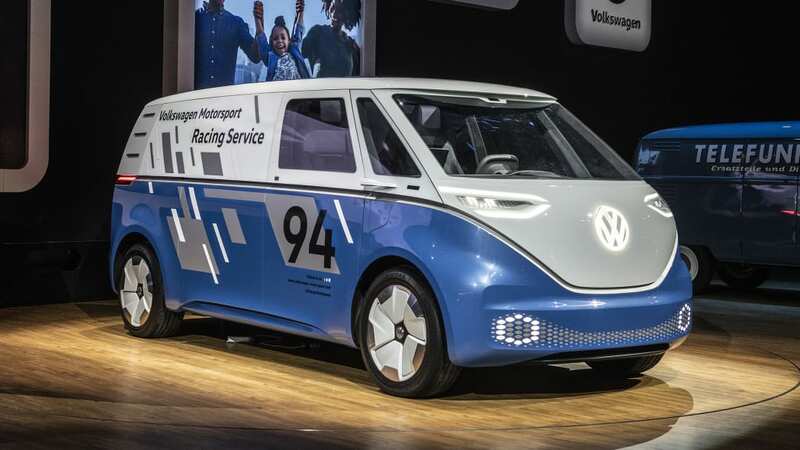 But this version is way cooler because it's been outfitted to be a support vehicle for VW's I.D. R Pikes Peak electric race car. 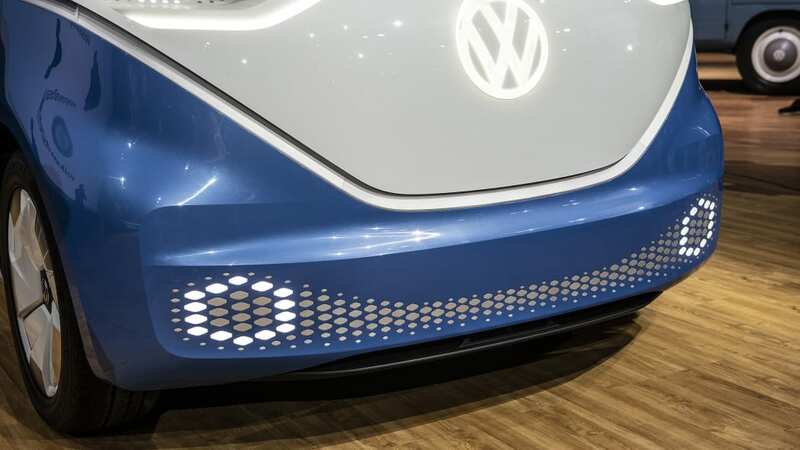 As such, it's been given flashy graphics, racing numbers and a track outline of Pikes Peak to distinguish it. 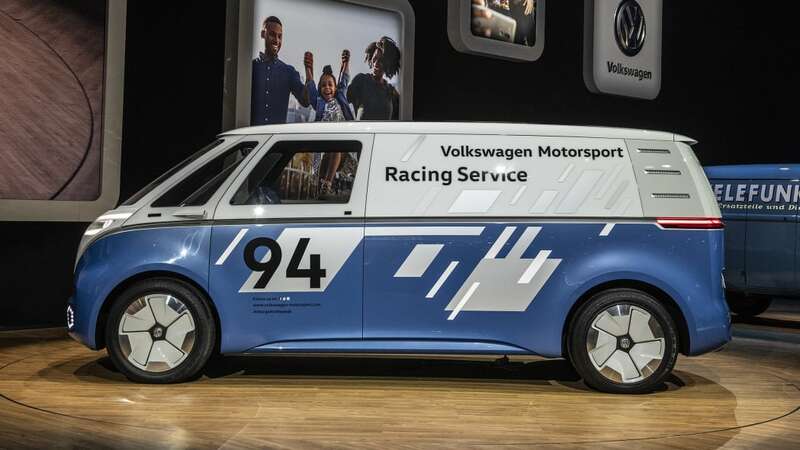 It wears the colors well, and it has us imagining the van with vintage racing liveries, particularly ones shared with Porsches. A Rothman's or Martini color scheme would be amazing. 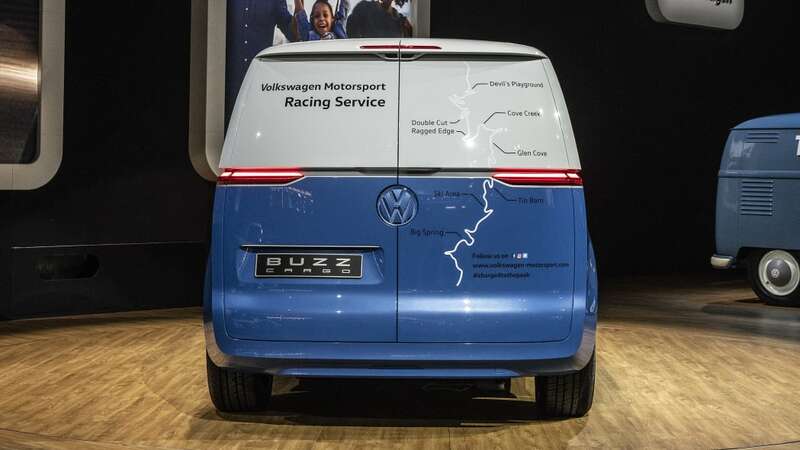 Besides the colors, the back of the Buzz Cargo is outfitted to be a practical support van. 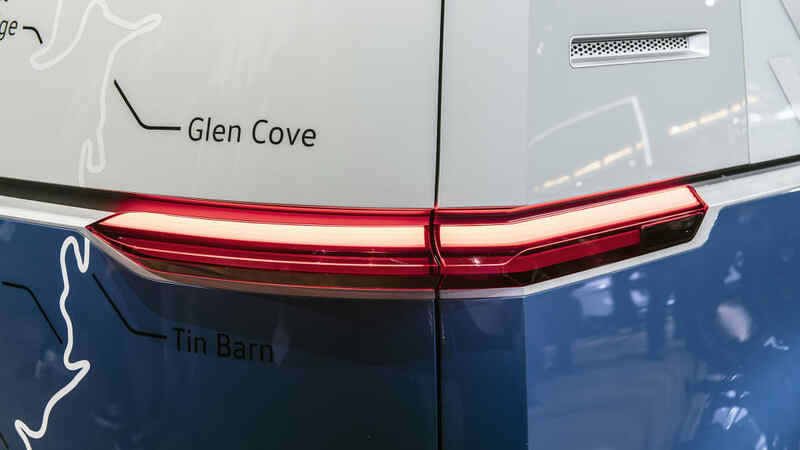 It's filled with lots of shelves perfect for parts and tools, all of which can be catalogued using the van's onboard software and tracking tools. There's a pop-out workbench that can be used with the dual barn doors opened up. Most useful is the 230-volt electrical outlet for all manner of heavy-duty power tools. 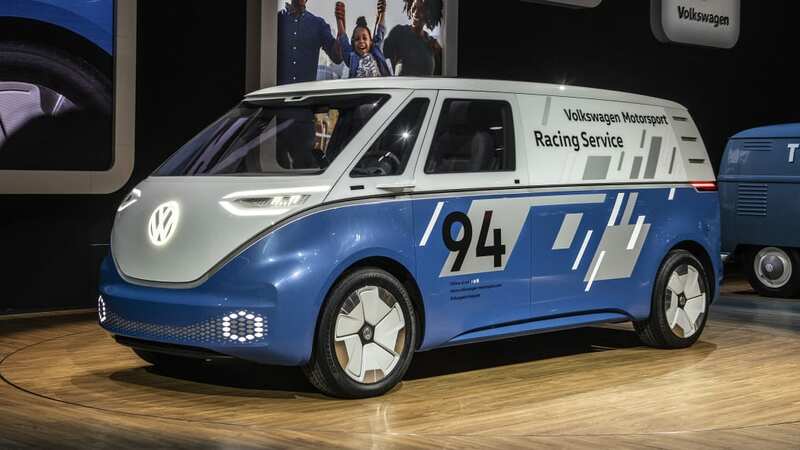 Most of the rest of the van is the same as you've seen when it was shown in plain blue and white form a couple of months ago. 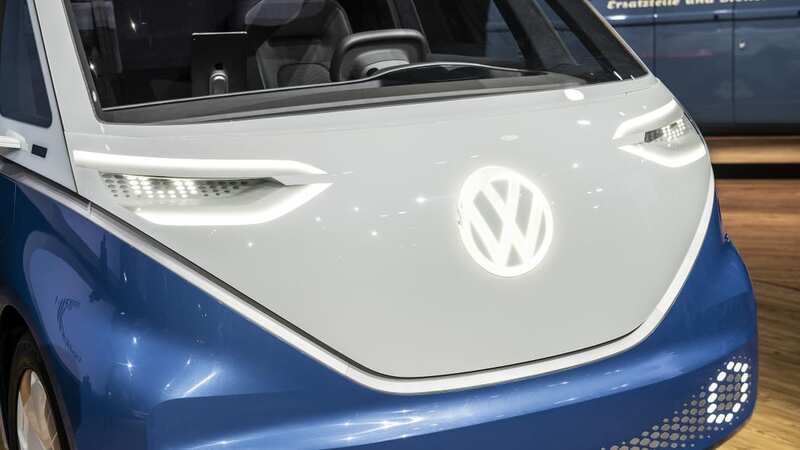 Volkswagen says it could be offered with two different battery options, a 111-kWh battery with a range of about 340 miles on the WLTP loop, and a much smaller 48-kWh battery. 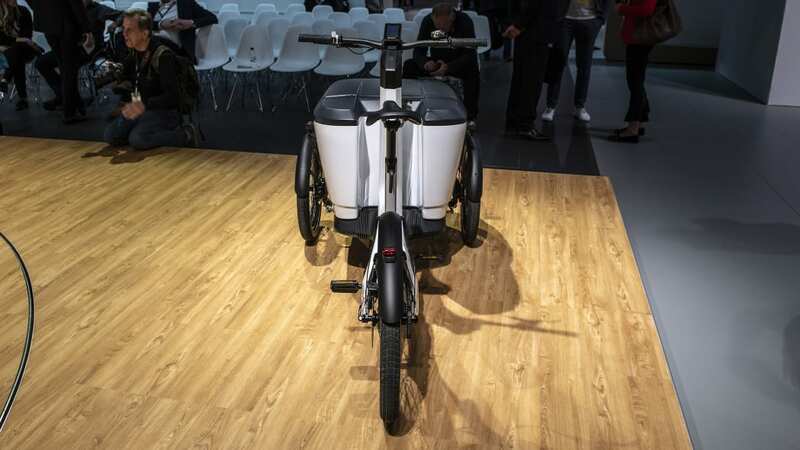 The former can be charged to 80 percent capacity in about 30 minutes at a 150-kW DC fast charger, and the latter could be charged to the same percentage in just 15 minutes, making it a good choice for urban deliveries. 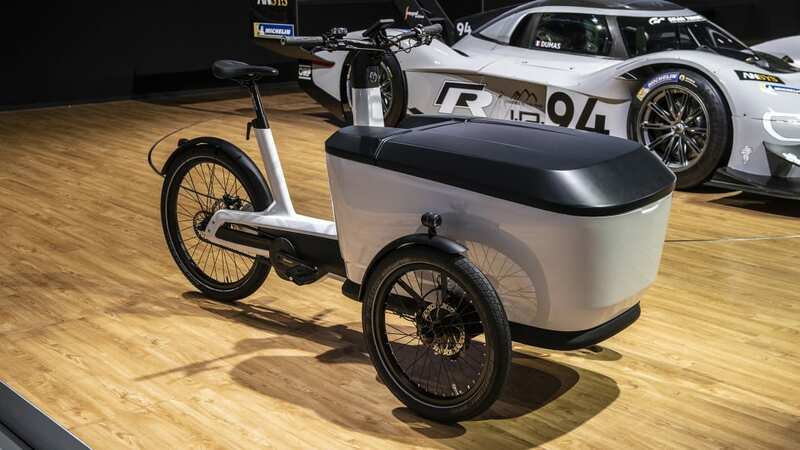 Both batteries would be hooked up to the same single rear motor making 201 horsepower. This frees up the nose of the van for 7 cubic feet of space. 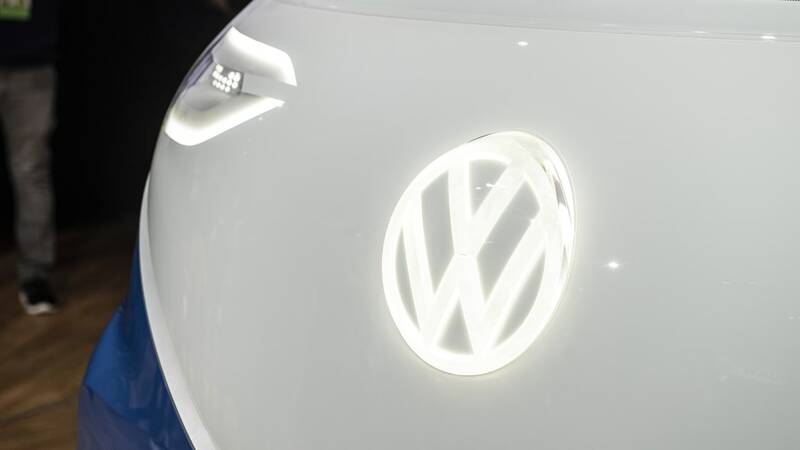 VW says a dual-motor version like the regular I.D. Buzz could be offered, though. 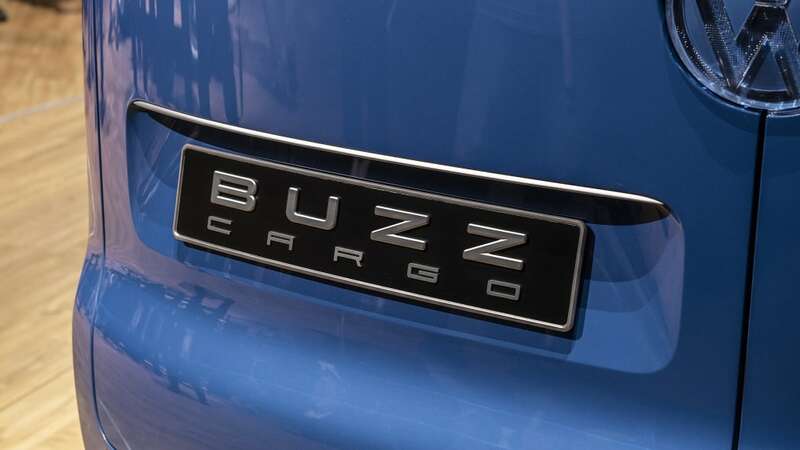 The Buzz Cargo, besides the cargo focus, has some other reconfigurations compared with the regular Buzz. The twin captain's chairs up front are replaced by a single captain's chair and a bench for up to three occupants. 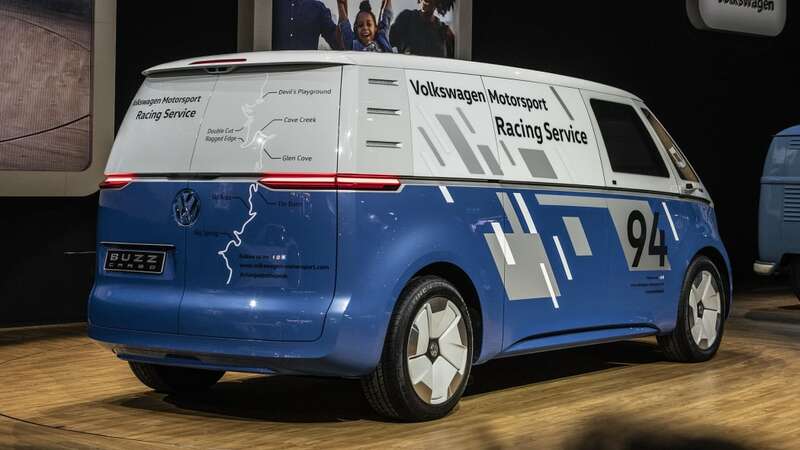 The overall length of the van is 4 inches greater than that of the regular Buzz for additional cargo space. 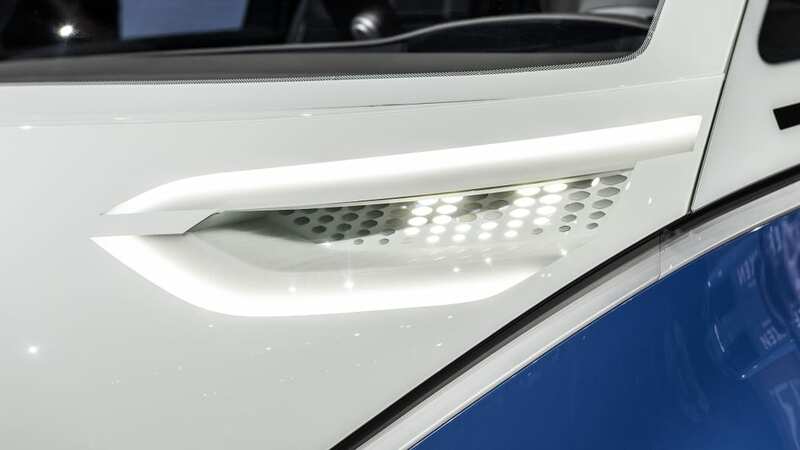 But like the regular Buzz, the Buzz Cargo boasts a full autonomous driving system and information displayed on the windshield. 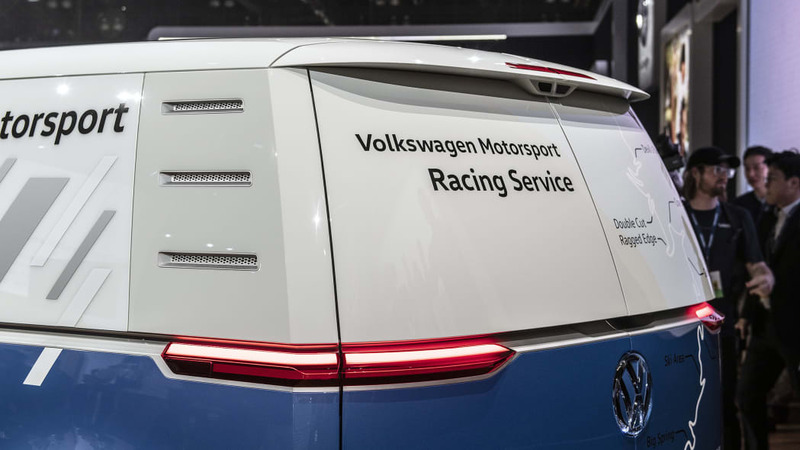 The Buzz Cargo isn't the only commercial VW on display, though. 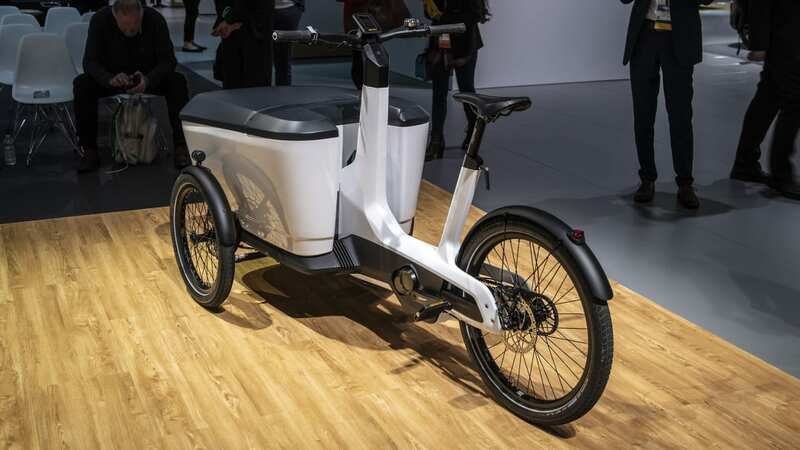 The company is also showing its Cargo e-Bike. 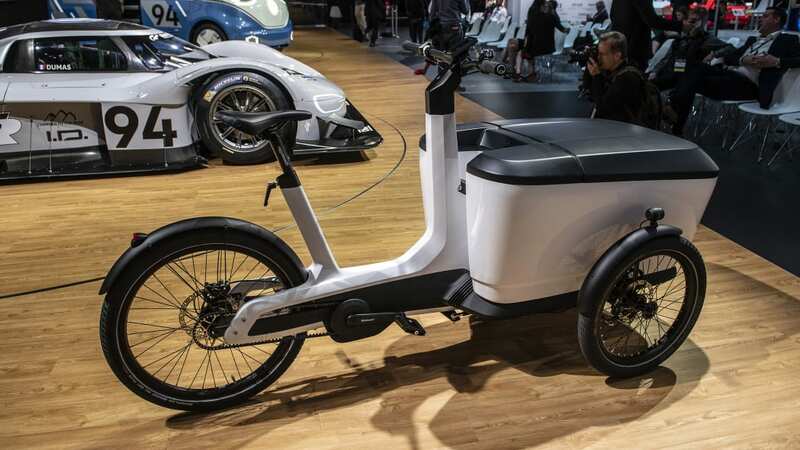 It's an electric bicycle, er, tricycle with a 250-watt motor. 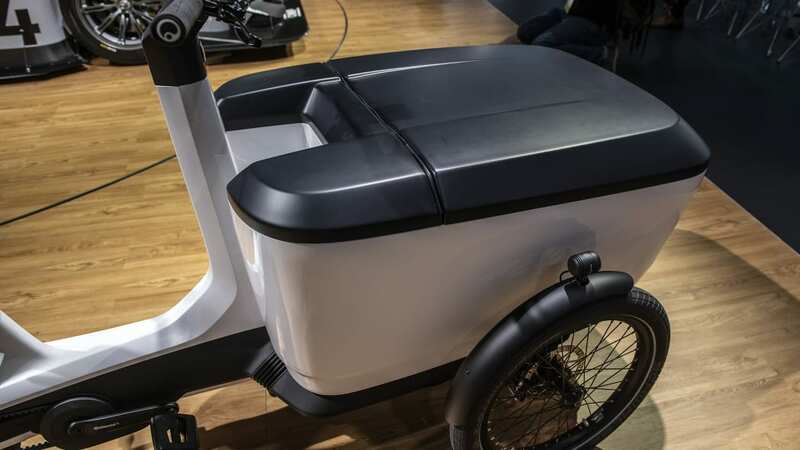 Between the front wheels is a platform that can accommodate a variety of goods, including a 17.7-cubic foot cargo box. 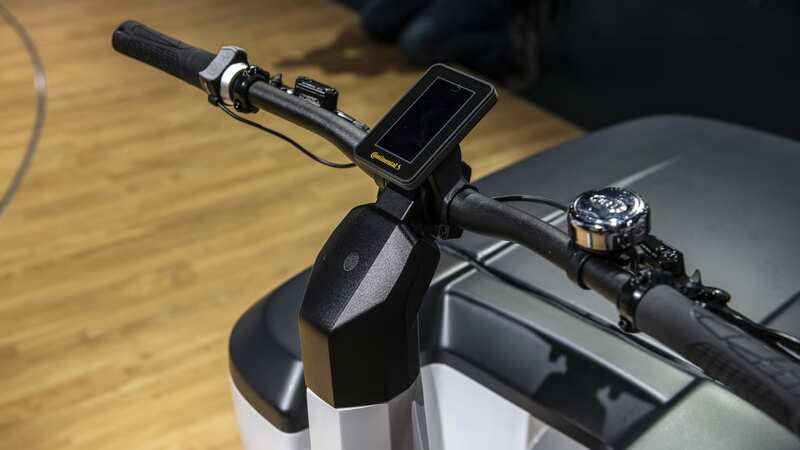 The platform will also maintain its horizontal position even when the bike is cornering. Payload capacity is impressive at 463 pounds. 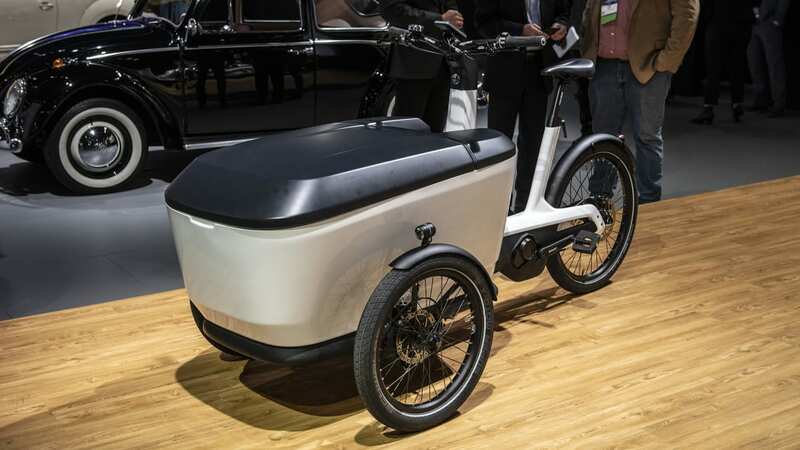 The e-Bike will be the first of these two electric commercial VWs to be seen on the streets. 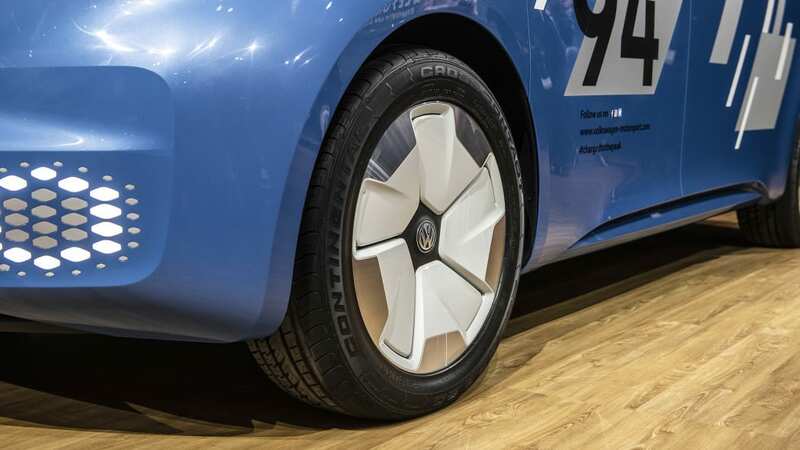 The company plans to start offering it sometime in 2019. 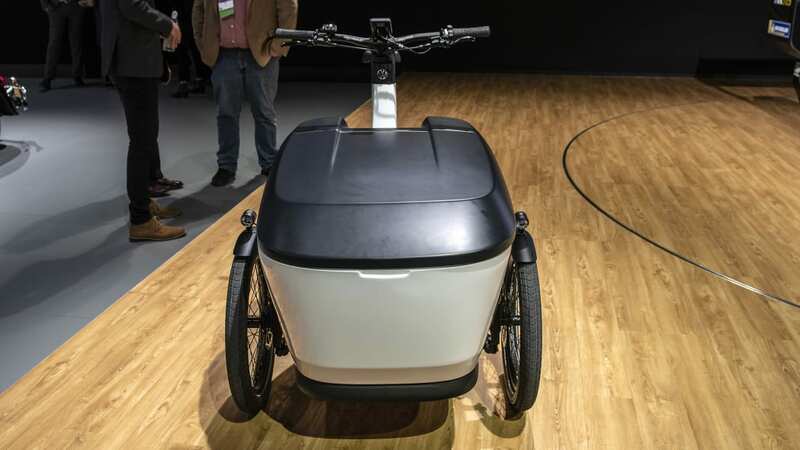 The Buzz Cargo's future is a bit more nebulous, but the company says it could be offered as soon as 2022 in Europe. 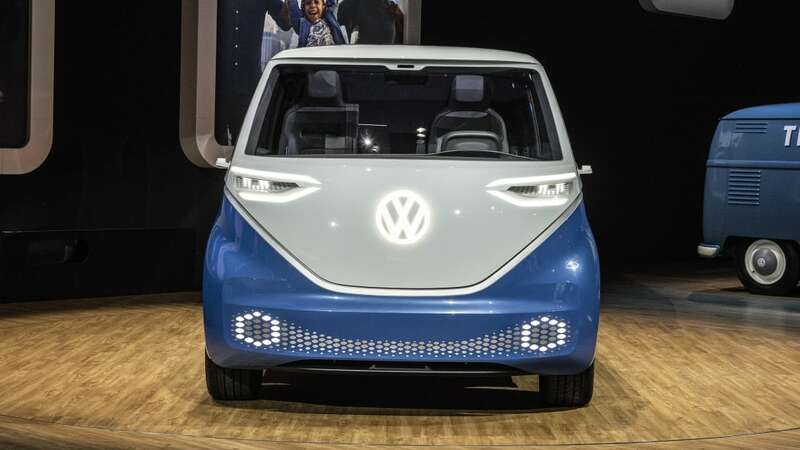 This is also in line with VW's plans to release the production Buzz consumer model in 2022 in the U.S.